Hi All! Those of you who’ve signed up for next year’s Sugar Block Club may have seen the colorful FreeSpirit solids bundle I’ll be using to make my blocks, and many have asked where they can get one- either for this project or another. I know- isn’t it yummy?! Unfortunately, I purchased this about a year and a half ago, and find that they are sold out in most stores now! EEK! The good news– I’ve teamed up with Westminster to be able to offer a limited number to my readers! The supply is quite limited, and it’s first come, first serve, so snag one quick if you’ve got the itch! UPDATE— Those sold out quick!!! I’m in contact with Westminster now to see if we can poooooossibly get more, so if you want one EMAIL ME to get on the pre-order list. IF we’re able to get more, my priority will be quick shipping, as I know you all want them by Christmas or New Years by the latest. ***Sugar Block Club members can enter to win one by leaving a comment to this post, telling me your favorite holiday tradition! If you’re not a member, join here. Winner will be randomly chosen and announced right back here on Monday 12/10. Don’t worry- if you purchase one, and then happen to win the giveaway, I’ll refund your money! My favourite holiday tradition is taking the roof of my husbands triumph stag and driving out to look at the Christmas lights we live in Australia so it’s hot and we buy ice cream on the way home! Thanks for the chance to win. My favourite holiday tradition is playing Christmas carols around my village on my alto sax with the group of carol singers. Always the 20th December and always really good fun and great to see everyone. My favourite holiday tradition is making the Christmas dinner. I know a lot of people think it’s stressful, and a real chore, but I love it. It’s one of the few days of the year that I actually have the time to cook properly (with a glass of wine in my hand!). And for once, my cooking is appreciated! Thanks for the chance to win the bundle. I’m looking forward to starting the blocks. I finished my first bed-sized quilt last week, with your Craftsy BOM class. I’m SO grateful for that class and your excellent tuition. I’m still stupidly pleased with myself! I am a member and my favorite holiday tradition is dinner on Christmas eve with my family. We open our presents afterwards. Thank you. My favorite holiday tradition started just 8 years ago with the birth of my first grandchild. I now have my two darlings decorate my tree each year (tonight is the night! ), and each year there are new picture ornaments of them. Our favorite family Christmas tradition started when we combined our two families into one big family 13 1/2 years ago. That is always having the kids homes on Christmas Eve for a traditional, good ‘ole, totally homecooked Christmas dinner with all the trimmings. I spend 2 days in the kitchen preparing this meal and for me this is what the holiday season is all about. Having my family around the table sharing a meal in celebration of new beginnings and remembering old ones as well. No matter what anyones schedule is, we always work it so everyone can be present for our family Christmas Eve dinner and gift time. As our children are now all young adults and on their own I am thankful to know this is one tradition that they still look forward to each year. Thank you for this opportunity and I wish you and your family the best holiday ever. My favorite holiday tradition is watching the Queen (I live in England). I use to hate it as my parents made me every year at 3pm, just before dinner. Now I make my husband do the same, it wouldn’t be Christmas Day without the message from the Queen! That’s for the chance ! Looking forward to the first block !!! My favorite holidays traditions are to decorate the house and baking the x-mas pudding . I can’t wait for January for the first block and yummy recipe! My favorite tradition is decorating the tree. I have some of my grandmother’s ornaments that I remember being on her tree when I was little. I love how they look mixed up with the eccelctic mix I’ve collected. Thank you for the chance to win the bundle! I’m so excited about getting started in January. During our Chrismtas visit with family, we all have little stockings that stand up on their own, at each persons place setting for each meal. Everytime we come to the table together, there is something little in everyone’s stocking. Just little things that put a smile on everyone’s face. I love it because it’s just a way to add some more joy to each moment! My favirote tradition is decorating and baking batches of cookies. Then our kids and grandkids come on Christmas eve and we have a great time together. Hi Amy.I can not wait for the Sugar Block Club to officially start. My favorite holiday tradition is baking. Baking Christmas Stollen is my particular favorite, oh yeah, and I also love to make my grandmothers kolachke and snowballs (The cookies, not the cold frozen things that people throw at one another). Once I have those special seasonal treats well stocked in my cupboard, I am truly feeling that spirit. I am a member and this is my first BOM and my first quilt! My favorite tradition is our last minute run on Christmas Eve to buy coloring books and new crayons. Then we would go home and color at the dining room table. We started this in 1987 and even though the kids are grown and not usually here that day my husband and I still run out and buy Christmas themed coloring books and new crayons for the grand children. When they get here we still sit down and color together! My favorit holiday tradition has been every year we make or buy our kids a few of their own special ornaments — over the years they have collected quite an assortment. And now, my oldest, a daughter is commissioning in the USAF — after I take down the tree this year, I’ll box her ornaments up and next year she’ll be able to put up her own tree with some sweet memories of home as she starts her grown-up life — many states and several time zones away from home. Our favorite tradition is family and friends together for dinner. Thanks for the chance to win. Merry Christmas to you and your family. The fabric bundle is lovely! Our favorite tradition is Christmas breakfast. We always have chorizo and eggs, warm tortillas, and chocolate milk. yum! Making our secret family recipe of rum balls! I love going to Christmas carols with my family and making gingerbread! My favourite tradition is definitely decorating the tree with the children (that’s letting the children help, not actually putting them on the tree :oD) whilst eating mince pies and drinking mulled wine! Our favorite Christmas tradition is topping our Christmas tree with the same angel my Mommy and Daddy used on their first Christmas tree in December of 1941. She does not stand up very well now so she is propped up on a branch as close to the top as possible. I am thinking so fondly of them as I write this on December 7 which is my Daddy’s birthday. Happy Pearl Harbor Day! Amy, my favorite Christmas tradition is when my grandchildren decorate my Christmas tree. They are ages 6, 5, and 2. Adalie and Aithen do a pretty good job carefully placing them on the tree; sometimes putting two or three together. However, Aryssa has gleefully placed 14 bulbs in a row on the front of the tree. I leave the bulbs as they are placed on the tree by my three precious little munchkins and think of them every time I look at the tree. Life is good! Our favorite tradition is to go looking at Christmas lights one night before Christmas. I am happily,proudly a member (and feel I have made a friend as well!). Making Christmas cookies. Traditions change now that the family is growing. Making a new one this yr grandkids are decorating the tree. Along with my friends. I usually never have too much left at dinner<3. This is the only time of the year I make them! My favorite tradition is after the kids asleep and Santa came taking a picture of the tree by the light’s glow with all the presents underneath and the year on the tree. Mom did that when we were young and the Polaroid would be there for is from Santa in the morning. This way our photo albums for the holiday could be marked. Another is the picture with all in matching pajamas next to our stockings on Christmas eve right before bed. My favorite Christmas tradition is making cookies and candy for family and friends. I am a member! Excited to see what 2013 brings with this BOM! Hi,I’m a sugar block club member! Can’t wait to start. One of my favorite holiday traditions is going to see the Nutcracker with the rest of the girls in my extended family. Makes it feel like the Christmas season has arrived! When my husband and I got transferred away from family, we made our family tradition spending the day together by having a nice meal and golfing. We enjoy the peace of the outdoors and each other. The rest of the day is spent with my husband enjoying his favorite pastime while I enjoy my sewing. Of course there is the traditional Merry Christmas phone calls to loved ones. We try to enjoy all our blessings on a day that means so much. My favorite tradition is making the yeast rolls for dinner. My granddaughters have to have them to make Christmas dinner complete. Of course I am a member, Amy! Can’t wait to get started. Our favorite family holiday tradition is hanging our stockings up. On Christmas Day we find our stockings carefully placed where we usually sit and they are overflowing with little meaningful gifts. We open the stocking gifts first and have breakfast. Santa always leaves a large orange and a banana because he wants everyone to eat something healthy! Our favorite tradition is the brunch served when we take a break from opening gifts. Merry Christimas Amy! What a blessing this Christmas will be for you and your family. I can’t wait for January for the Sugar Block club to start. My favorite tradition just took place – I spend all weekend (start Fri at 3p and end Sun at 6p) making cookies to send off to my family that is scattered all over and for various people who have been awesome during the year. This year was 18 different kinds (including dog treats)! It’s a lot of work (and money) but worth it when I see the photos, texts and emails. And she then took all of hers. My other daughter will be taking hers next year Ill bet. Oh, and I’m a member! Hi there,thank you for the opportunity to win. I am a member and my favorite Christmas tradition is dinner with my family on Christmas Eve . I am a member and our favorite tradition was having the kids all come down to see the tree at the same time on Christmas and see their faces light up with joy. My kids are grown, so now our favorite is to see the grand kids in Canada. we watch them reading the Christmas Story on Christmas Eve sitting in their pj”s before the fire place. candles burning, beautiful. It is very moving to have each child (3) read a part. The children are the best blessing and gift we received from our Lord. Thank you for making the fabric available and s chamce tp win , bought it , cant wait to start. I love the bright colors. Hi Amy! My tradition is CANDY! I make hard candy for the children and grandchildren every year in their favorite flavors. I am a member and I’m new to quilting. I can’t wait to get started! I have a 22 month old and 8 month old and I know my new favorite holiday tradition will be baking cookies with my girls and eating cookies with hot chocolate. We don’t really have any traditions yet. Since its my sons first Christmas I’m hoping to change that very soon! Yes! I’m a member and this is my first Block Club, so I’m excited! Our favorite Christmas tradition is just coming together as a family…often from places far and near just to spend a couple of days together. We’ve even been known to “reschedule” Christmas to ensure all three of my adult children and their families can be together to celebrate this special occasion. Yippee Yeah! I’m so excited for the club fun to begin. I did the Craftsy club last year and it was great. Thanks for the chance to win. Opening one present on Christmas Eve. Plus baking Christmas cookies, love the smell around the house of Christmas. Pickle!! Thats one of my favorite. See… there is a pickle on our tree that hides on christmas eve. Then on christmas morning its hunted for and the person who finds it gets the pickle gift. The gift can be ANYTHING, but its always for the whole family. One year it was a jar of cookies (fooled them, they thought it was a jar of pickles) another year it was a game for the family. My husband and I love hunting for the right gift for the pickle. Hey Amy! Great colors in that bundle, can’t wait to see how they turn out in the Sugar Block Club quilt. I’m looking forward to seeing how it all unfolds! My favorite Christmas tradition is playing games. We seem to always get another group game at Christmas and we play and laugh until we cry. It’s great fun! 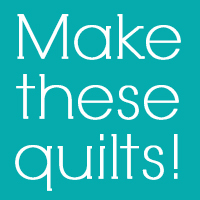 I’m a club member and am looking forward to a great year of quilting with you. My favorite Christmas tradition is looking at Christmas lights and then going to the cemetery to visit my parents grave, and spening a few minutes thinking about the great holidays I had with them and how much I miss them (kind of strange, I know). my favorite christmas tradition is my stocking. My mom & dad always stuffed them and it was one of my favorite parts. My Grandma had knit each of us a stocking, so because they are made out of yarn they really stretch :) It is fun tradition that we now do with our family and my husbands. One of the best parts of Christmas morning, sitting around with family and seeing the surprise on everyones face as the pull things our of their stocking – Merry Christmas! I am a member and sooooo excited to follow along again with the same fabric you are using!! 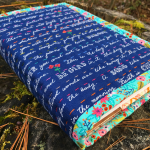 I did buy another bundle that I decided that now I will make two quilts at the same time with! Our traditions have slowly faded away with my mom and grandpa passing away. However my six year old makes Christmas an exciting time of the year. This year putting up the Christmas lights and tree have become a very exciting tradition again – instead of a dreaded task! Hi, just joined the Sugar Block Club for 2013. Can’t wait!! At our house we put up stockings for everyone. There are stockings for everyone in my family – Mom, Dad, brothers, sisters, nieces and nephews, and, of course, all of us. Our living room is FULL of stockings. When we get together near Christmas, everyone sneaks around to put small gifts into all the stockings. Hope everyone has a wonderful Holiday season, whatever your favorite traditions are. Hi I am a member am and my favorite christmas tradition is turning up the christmas music in my kitchen and baking all kinds of cookies and candy. I am a member and can’t wait to start the project!! My favorite holiday tradition is helping my husband make his Italian Cookies and packaging them to give to family, friends and neighbors!! I always have a blanket for each family to tie after we eat our Thanksgiving meal. It is te beginning of everyone’s 12 Days of Christmas for someone who really need some Christmas Cheer. Hopefully it reminds us of how blessed we are, and what Christmas is truly about. Hey! I’m a member if the Sugar Block Club and can’t wait to get started! !y favorite Christmas tradition is my dad, who is 81 reading the Christmas story from the Bible. Now with kids, grand kids and great grand kids all is silent in the room as he reads what Christmas is all about!!! Singing hymns at church on Christmas Eve :) That bundle is beautiful! I am a member and I am looking forward to the Sugar Block Club starting, this will be my first on-line project. My favorite tradition is spending Christmas Eve with our extended family and playing the white elephant game. I like to make pillow cases with Alexander Henry’s fabric, they are a hit. Singing the Christmas Carols with the kids. All happy faces in the candlelight! Our favorite tradition is having appetizer night on Christmas Eve. We all spend the month of December looking for new delicious recipes, and then we all plan to make one new one and one from our personal bucket of favorites. Then we pretty much just indulge in all things delicious all night long while we wait for midnight! I am excited to be a member of the Sugar Block Club after taking your Craftsy BOM class this year! I look forward to ‘working’ with you!!! My favorite tradition occurs after gifts have been exchanged and I’ve fed the family and friends…while I am cleaning up, I can overlook the living room and watch all those people I love playing games, laughing, and just enjoying the environment that I created. We used to do board games but it has now expanded to WII competitions – I will sometimes have little gifts for the winners and “losers”. What is YOUR favorite holiday tradition, Miss Amy?? So happy to find the bundle that we will be working with in the Sugar Block Club…can not wait to get started. My favorite Christmas tradition is going to each of our children’s home on Christmas morning to spend some special time with them and our grandchildren. We have brunch at the final house, our oldest daughter, and then back home to wait for Christmas night when the family comes to our home to “eat and be merry”. Thank you for doing this class and giving us all an opportunity to use these fabrics. You are one of the few instructors that makes us all feel like we are winners whether it be learning a new technique or being the name drawn for a give-a way. We love that you make time for all of us even with your very busy life. Thanks again. I’m a new member. Growing up we had many traditions for the season of Christmas including the home made advent wreath, church every Wednesday with homilies and Christmas carols, play practice, cookie baking, and much more. I have found over the years that the most meaningful gift is the service project our family and church would come up with on Christmas Eve. Sometimes it was just visiting nursing homes other times it was serving food for the homeless. I think there is nothing better than being a servant for this special holiday. New PJs on Christmas Eve. Even at 21, 22 and 25, my kids look forward to them. Last year I made them matching 1 piece flannel sleepers. Christmas morning, one of their gifts is always a new book. We have Christmas dinner on Christmas Eve. It is much easier and calmer to not have to worry about cooking on Christmas Day. My favorite traditions are always the ones that involve my kids… putting up the tree (I let them have a go at all the ornaments first, meaning that the front bottom half of our tree is overloaded till I redistribute after they go to bed! ), making Christmas cookies, and acting out the nativity story on Christmas Eve… Thanks for the fun giveaway! I look forward to starting your BOM in January! I’m so excited for the sugar block club! Thanks for the chance to win. My favorite holiday tradition is decorating the tree. It’s so much fun to remember when we made / received each ornament. When our children were small, we left their filled Christmas stockings at the foot of their beds so when they woke up at the crack of dawn they would have something to keep them occupied (for max 5 minutes!) so we could check to see if Santa had left (and to turn the tree lights on and make coffee. My children are in their 40’s and my husband and I still fill stockings for them and leave them outside their bedroom door on Christmas Eve. We fill stockings for each other, too! Hi, Amy, I am a member and would love to win that yummy bundle. Our favorite Christmas tradition is eating cookies and drinking cocoa while watching It’s a Wonderful Life. We usually do this on Christmas Eve. I live in India so am not sure if I am eligible for this!!!! But am entering anyway. I am a member of the Sugar Block Club. Our favourite tradition is making the Christmas cake together as a family! We buy all the fruit needed….chop, clean and wash it together, and then make the cakes! We make many as we give them away as Christmas gifts from under the tree. Its now become a family tradition and everyone who vists at Christmas, friend and family, expect one! We have a beautiful Christmas Eve meal then visit our parents. Christmas Day we watch a special movie bought in the afternoon and have left overs for dinner! I, too am a member and gladly participate. One of our family traditions is to have Christmas Eve dinner together followed by the opening of one gift. It is usually less hectic then the next day and we can really celebrate our time together. I’m a SBC member and would love to have this bundle. My favorite tradition is baking sugar cookie and decorating them! I’m really looking forward to starting the Sugar Club blocks as I’ve had such great fun making yur blocks on Craftsy this year. My favourite holiday tradition is dressing the tree. It’s always done on Christmas Eve with my daughters and grandchildren to help. We unwrap all the little ornaments that I have been collecting for the past forty years and each one brings back happy memories of where it was bought, or who made it. My tree has had to get bigger and bigger over the years to accommodate all of them and now my tree stands on the floor and touches the ceiling. The best bit of all is putting the dainty china angel on the very top and then switching on the lights. We then know that Christmas can start. My favorite holiday tradition is having my grandchildren come over and decorate my tree. I started with my oldest granddaughter that is now 20 years old. She passed the tradition down to her brothers, now 10, 6, and 4. It gets a bit hectic, but they love it. My husband and I are formerly widowed septuagenarians who married almost 5 years ago. Although it could hardly be called a “tradition” we’ve spent the last 3 Christmases in a way that made our neighbor joke “Please don’t include me in your holiday plans.” Hubby’s right hip replaced 3 years ago, my aortic heart valve replaced 2 years ago, hubby’s left hip replaced last year–So that for 3 years running one of us was an invalid over the holidays. Even so, each of the past holidays we bought a living tree, all of which are growing gloriously in our yard. We are extremely thankful to have had our lives extended and improved so that this year we can do the round of parties that we couldn’t attend for most of our short married life. And this year we bought an lovely lighted artificial tree, our lot being quite full enough with rapidly growing spruces. Our lives are enriched and improved and every day is a treasure. We celebrate both Hannukkah and Christmas and are grateful to be able to do so in good health. We wish all of you surgery-free holidays! May all your days be merry and bright with the love of your families around you. 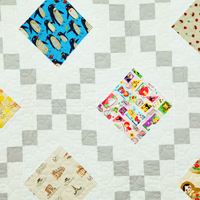 Please help spread holiday warmth by donating one of your quilts to the victims of Hurricane sandy. Bless all. Merry Christmas, Happy Hanukkah, Happy New Year to all. My favorite holiday tradition is making Christmas cookies. I like to make some of the same cookies every year, and then find new ones to try out each year! And of course, enjoying the cookies with my family. My favorite tradition is going around the neighborhood to look at all the Christmas lights ~ there’s lots of them here. Then coming home to a little dessert and something warm to drink. Really looking forward to the beginning of the year and being part of the Sugar Block Club (which I’m a member of!). Hi Amy. My favorite holiday tradition was when I was a little kid. We would all gather at Grandma’s house on Christmas eve. All the cousins would sit around anxiously awaiting Santa’s arrive. Of course we had to go to sleep first While we were sleeping Santa would come and put the presents under the tree and he would sit in Grandma’s favorit rocker and give each of us one present to open. Then were would go down to the basement and eat our evening meal and attend midnight mass. When we came home, the kids would enjoy the presents that they have received, try on new clothes, etc and the grown ups would play cards all night. We fell asleep where ever we were and we all woke up to a great big breakfast and would eventually go home sometime Christmas Day. Those where the best times and we try to get together now but sometimes it does not always happen being that were are all located in different states now, but every now and then I wish I could go back to that time just once. My favorite tradition is baking cookies, especially sugar cookies! Thanks so much for the chance to win this bundle!! My favorite tradition is reading the Christmas story with my family! Love the colors in the Free Spirit Bundle! My favorite holiday tradition is picking out Christmas tree ornaments for my kids. Every year they get 1 or 2 ornaments to commemorate something they did that year. This year my twin daughters got their driver’s licenses, so of course it had to be a driver’s license replica ornament for them! It was one of the greatest and scariest days of my life so far!!! My son and I are reading The Kane Chronicles by Rick Riordan so his ornament this year is an “Eye of Horus”. They receive their ornaments on St. Nicholas Day (Dec.6th)in their stockings and put them immediately on a branch in the very front. I have been giving them ornaments since they were babies, so we have quite a few now! It is so much fun to look back at all the ornaments and see how their interests have changed and grown! too many traditions that I love – advent wreath, Christmas cookies, midnight mass, quilted tree skirt, new ornament each year, being surrounded by family. ps – Can’t wait for the Sugar Block Club next year ! Our favorite holiday tradition is, opening a present on Christmas Eve. The kids get to pick and I never wrap to size. One year, my youngest daughter was getting an Easy Bake Oven for Christmas so, I wrapped the light bulbs for the oven in an oversized box. Needless to say that is the box she wanted to open. We discourage her opening that box however, she just could not stand it until it was opened. Needless to say she was not happy. It was a great life lesson for her. Things are not always what they seem. Thanks for making the bundle. 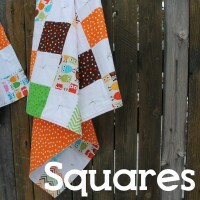 I’ve never done a quilt with just solids…Something new for the new year…right? Now that the kids are getting older and two are in college, our favorite Christmas tradition is just being together as a family again. We reserve Christmas Eve all to ourselves and just enjoy each others company…Christmas tunes, food, gifts…a little slice of heaven here on earth. Soooooo looking forward to it this year! Hope all is going well on your end. Merry Christmas! My favorite holiday tradition is after we open Santa’s presents on Christmas morning, we have breakfast, put the prime rib roast in the oven and then the whole family stays in their pj’s and watches movies or plays with their new toys/gadgets, but we are together all day! I love this. My favorite tradition is Christmas dinner. Our family has had the same menu since I was little and now I’m retired. In fact, my sister (ultimate list maker) doesn’t write it down any more. She just uses a menu dated 2004. LOLt. My favorite tradition is travelling to see family for Christmas. We have always been the ones who moved around while the rest of the family stayed put. It somehow builds the anticipation for the holiday and the fun times to come. There is also a heart-warming comraderie with fellow travellers as we roll down the highways. Just signed up for the club and I am very excited! This will be my first group sewing adventure! Since our children are older we now have two favorite traditions. One is that our grandchildren come to grandma’s house and decorate it. It is fun to see the new and unique way it gets decorated each year. The other one is that our youngest son invites us over on Christmas morning for breakfast and to watch the children open presents. I am a member of the Sugar Block Club. Should be a fun year. This year I made a quilt for each of my nine grandchildren for Christmas. We stay in our pajamas most of Christmas Eve and watch movies together. We also have Belgian waffles with fruit and whipped cream for breakfast. Can’t wait to see the new blocks. Our favorite holiday tradition is Christmas Eve with family and friends at my house where we eat and celebrate till the wee hours then we spend Christmas Day in our pjs lounging around, opening gifts, playing with my grandson’s new toys and eating leftovers. Wouldn’t change it for anything!! My fathers family, all eight siblings, were 7th generation Californians. Every year they would make tamales at Christmas. Now that the elders are all gone me and my 23 cousins try to get together to make tamales to carry on the tradition. Good thing my dad wrote up their recipe! Hi! I’m a member of the Sugar Block Club, and those colors are so great! My favorite Christmas tradition is having breakfast with my family. My dad usually makes sausage gravy and biscuits and we gobble it down then exchange our gifts. Here’s to a Happy Holiday to you and yours! Our favorite holiday tradition has always been wearing our Christmas pajamas on Christmas Eve and opening one gift and then going to bed and waiting for Santa; leaving him milk and cookies first of course! Now that my grandson, Ayden, will be joining in the traditions we have come up with a new one; we will be putting his handprints on the tree skirt with acrylic paint every year on Christmas Eve. It will be fun for him to see past handprints every year so he can watch himself grow! Happy Holidays everyone! Our favorite Christmas tradition on Christmas morning is see what Santa brought, open stockings only, eat homemade cinnamon rolls, enjoy watching everyone open gifts and stay in our pjs all day long! I did your BOM class on Craftsy last year and am looking forward to Sugar Block Club this year! My favorite holiday tradition is that we always read “The Night Before Christmas” from our Little Golden Book edition, before we open our presents from our family on Christmas Eve. (Then Santa could come overnight and we could open even more presents on Christmas morning.) Everyone in my family now knows the poem by heart and so chimes in on their favorite lines. My favorite tradition is making Christmas cookies with the kids – we put on Christmas music or christmas specials and do it up! then we deliver them to neighbors and friends and get alot of christmas visits in. and we take turns talking and wishing everone a Merry Christmas as a family. together, if even for a short time, for the holiday. Ohhhhh, what a pretty bundle of colors! To choose from favorite Christmas traditions is difficult but I think baking 10 or 12 different kinds of Christmas cookies from family recipes is the best. Gifting them to friends and neighbors makes it even better. Our family tradition is getting up early christmas morning before the sun come up to blow out Jesus’s birthday candle and open our gifts as one big family. Love it! We have a eggs and cinnamon rolls! PS I am a member and looking forward to th 2013 blocks. I am a new member and a member of the sugar block club. It turns out that my favorite Christmas tradition is going to the airport to pick up my daughter who flies in from Alaska every year to be with family for Christmas! We opened our 1 present Christmas-eve and then waited until Christmas day to see what Santa brought. We then would have Monkey bread for breakfast and play with our toys while mom, bless her, was in the kitchen baking for the big turkey dinner. Which would be eaten with all the aunts, uncles, & cousins once they arrived. One of my favorite holiday traditions is baking holiday cookies and candies with my daughters. I’m a member and can’t wait to start 2013’s BOM. Still working on this years blocks combining your straight stitching and Leah’s FMQ on it. Fav tradition for us is an orange in the toe of kids stockings….the way my folks did for us. In rural Maine fresh fruit was a luxury for our country preacher’s family of 6. I’m a member, and my favorite Christmas tradition is opening Christmas jammies on Christmas Eve, and taking pictures of the kids in them, in front of the Christmas tree!! Thanks for the Chance to win a bundle. I’m a Sugar Blocker and I have to say this is the most excited I’ve ever been to work on something that I have no idea what looks like! free Spirit solids are some of my favorite to work with -so soft! One of my favorite traditions with the kids is reading Christmas stories with the kids by the tree every night. It is so fun to snuggle together in our Jammie’s by the light of the tree and let the anticipation rise of the best time of the year! I am so looking forward to January to start the Sugar Block Club. I favorite Christmas thing is to make Christmas cookies with the grandchildren, and eat as we are cooking. I am a member of the sugar club. My new tradition is collecting small items for my 2 young grandsons all year long. I then put 24 items for each child in small colorful cookie bags with numbers on the front. It is called count down to Christmas. They open one bag per day starting Dec. 1. I enjoy collecting small items of interest for them all year. Their excitment of a little gift each day makes Christmas more about the season not just one day and they call and share their delight with Grandma. Our favorite tradition on Christmas Eve is to have a “crap” swap with family and friends. Everyone, little and big, has to wrap something they own that they do not like. Now ok, no trash, new joke gifts are allowed..even old joke gifts and I , Nana, have been known to buy a box of favorite candy for little ones ( to get them excited). We take a deck of cards and pass them out to everyone to an even amount to all. Then we take another deck and start calling out the number and suit. The person that matches has the opportunity to pick and unwrap a gift or swap. At the end some people have a pile of gifts while others have none. So, we again pass out one card to each that have nothing. The lowest number gets to pick first only from someone with 2 or more. We have 2 year olds up to 92. And to watch the 92 year old get excited about a chicken who’s eyes pop out when you squeeze it’s neck and a 9 year old get excited about a box of Andy’s Candy just makes you belly laugh! Especially, when someone swaps with them and takes it away. Some of those naughty gifts just keep coming back! :) LAUGH, LAUGH LAUGH! PS I’m am part of the Sugar Block Club! My favorite holiday tradition is putting up the Christmas tree as a family and talking about the stories behind all the family ornaments on the tree! I love to bake Christmas cookies the day after Thanksgiving instead of participating in the Black Friday craziness. I put on Christmas music and usually get a daughter or two to help out. I freeze the cookies until it’s time to give them away. Looking forward to the Sugar Block Club! Our Christmas tradition encompasses multiple days. We bake cookies for friends and family early in the month. On Christmas Eve, everyone goes to church and takes communion. Afterwards we come back home (grandma’s/mine) and have dinner. Everyone gets to open one present from grandparents. Christmas morning we go to brunch at my daughter’s house and the kids get to open their stockings and presents. Later in the day back at the grandparents for Christmas dinner and more presents for everyone. Lots of work and plenty of love. Normally a few extra non family members are invited for the two days, to make sure that no one is without family or friends for the holidays. Oh, and I am a member of the Sugar Club. Cannot wait for the class to start. I love your designs and how you make incredible things happen. Happy holidays to you and yours! My favorite tradition is decorating the tree while listening to Mitch Miller and the Gang’s Christmas album that we listened to as a child – over 50 years ago!! Just signed up for the Sugar Block Club and I am soooo excited. You are an awesome mentor/role model. My most favorite Christmas tradition is preparing, cooking and baking a huge feast for my daughter, son-in-law and my one and only grandson, where we sit down and enjoy family, food, fun and then presents. They love to come to my house soo much that they were married in my living room in front of the fireplace on my daughter’s birthday in Oct. 2012. I am so excited about this block of the month club. Hi Amy, looking forward to the Sugar Block Club! My favorite Christmas tradition is decorating the tree, I love the smell in the house and the twinkling lights! My favorite Christmas tradition is Christmas Caroling and having everyone together for a big meal! I am a member of the Sugar Block Club and CAN NOT believe those bundles sold out so quick..!!!! lol My fingers were not quick enough!! I would love to get on a pre-order list! Thanks! My favorite holiday tradition is when my mom and her sisters sing the French national anthem at our family get-together on Christmas eve. Its wacky and weirds our the new additions to our family but I look forward to it every year. The strangest part is that we are not French. This traditon started when my mom and her sisters were in highschool and I hope it continues for many more years. Our family goes to mass as a family on Christmas Eve. I am indeed part of the Sugar Block Club. Couldn’t resist with a title like that, and I so enjoyed your class this year. I’m so proud of the throw that is now on display in my living room. Christmas tradition in my home is that everyone can look in their stockings as early as they please on Christmas day, then homemade cinnamon buns for breakfast; we snack all day on veggies and dip, fresh fruit and, of course, homemade cookies. Should we have received any emails on the Sugar Block Club? I haven’t seen one so just wanted to check :) My favorite holiday tradition is baking cookies for family/friends! I love decorating the tree as a family. We have one daughter who is now in her 3rd year of college, but still wants to decorate the tree when she is home for Thanksgiving. It means the tree goes up a little earlier than it use to but is well worth it. My favorite tradition for celebrating the holiday season is putting together a gingerbread house with my grandaughter. Thanks for the chance to win this colorful bundle. I can hardly wait to get started. I am ax cited to start the block but really excited to see the treats. I enjoy baking treats for family and friends at the holidays along with hanging my stocking (it’s the one I’ve had since I was born! My favorite tradition is making Christmas breakfast of stuffed french toast, a recipe that I found in Good Housekeeping magazine about 20yrs ago when my sons were small and they wanted it every year since. Now we have it on Christmas Eve for dinner now that they have families of their own and that is when we all get together! The tradition lives on! A long tradition in our family (our daughter is now 19 and in college), is to take a day trip to San Francisco, where we meet up with my extended family. We have walked across the Golden Gate Bridge, visited the farmer’s market at the Ferry Building, ridden the beautiful old street cars, walked through Chinatown, and much more. We often enjoy a lunch or dinner together and exchange small gifts. These experiences are the things we remember about our holidays! I’m a member! I actually love ALL Holiday traditions equally! I’m very sad that two of the traditions are changing this year but I’m trying to go with the flow. I still INSIST that Santa leaves even me presents under the tree along with my kiddo’s. 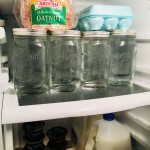 My favorite thing now is sharing those traditions that I grew up with with my three little girls. The magic of Christmas will always live in me and I hope that my kids will be the same! My favorite tradition is taking a car ride to see all the beautiful Christmas lights and decorating the tree with my husband. Amy – Our favorite family tradition is spending as much time together as possible over the holidays, eating, talking, playing games, listening to music, catching up and telling each other we love them. I’m a Sugar Block Club member and would love to win a bundle of fabric, but would also like to buy the bundle, if it is again available. Thank you – Merry Christmas!!! My favorite family tradition is to make paper snow flakes right after Thanksgiving and tape them to our windows. We dont get snow in Oregon very much so it brings winter and the holidays right to us! It’s just like seeing the first house in your neighborhood put up Christmas lights… it starts the Christmas season! My very favorite Christmas tradition is working with my grandchildren to help them make a special handmade gift for each other to open on Christmas eve. Since my grandchildren were too little to reach the foot peddle of my sewing machine, I have helped them plan, choose fabrics, cut out and sew Christmas gifts for their brother and sisters. We have had a wonderful time and they have learned they can sew. But, most of all, they have learned that the most special gifts are the ones you put yourself into. Thanks for the opportunity to win a fabric bundle. Hi! I’m A new member and so excited to get started! Thank you to my sister Linda Powell that told me about this fun project!! My favorite Christmas tradition is baking cookies with my kids to give to our friends and neighbors on cute Christmas plates! 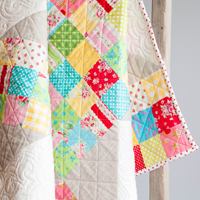 Do you recommend using solids for the Sugar Block Club vs patterned fabric? I think one of my top favorite Christmas traditions is to watch old Christmas movies! They really being back the warm memories…anything from Christmas in Connecticut or A Holiday Affair to Christmas Vacation or A Christmas story! There are SO many good ones! Sigh! Thanks! I am a member and our thing is to make Santa cookiew on Christmas Eve. We have fun and talk about if he will like them and what he will want to drink. Its special time! I absolutely LOVE CHRISTmas and enjoy ever moment of the holiday season. My favorite traditions are all ones that I spend with family. A few years ago the next generation decided that we needed to make “HARD TACK CANDY”. This year my mother’s kitchen will be filled with three generations of candy makers. We each have a job assigned to us by the youngest among us. I too am a member! This is my first BOM project and I’m super excited. I am a member of The Sugar Block Club! My favorite family tradition is making fudge and baking our favorite Christmas cookies!! Most of them go out as gifts to close friends and family. Thank you for the chance to win! I signed up for the Sugar Block Club because of the great job you did with the Craftsy class. I’m looking forward to the start. My Christmas tradition was when my children were small and super-inquisitive. I wouldn’t put their names on the packages; I’d do an A, B or C or some such. It wasn’t related to birth order. The other tradition started when I had a super small kitchen sink (military housing). I ended up thawing the turkey in cold water in the bathtub! Our favorite holiday tradition is a wild one! We secure an old fashioned plastic Santa to the garage roof of a friends house when they are away..they live in an area where plastic lawn ornaments aren’t exactly the “norm”..he gets attached the next year somewhere on our lawn or garage..the fun is “when is he going to arrive”..even many of the neighbors await and never tell when our friends come to call ! I’m a member! My favorite holiday tradition started 4 years ago when our oldest daughter was born. We make Christmas morning just for us…the extended family has to wait until mid-afternoon, at the earliest! We get up early (crazy, insanely early) to see if Santa came, I make pancakes and we leisurely open gifts and play all morning. I am really looking forward to having our second daughter be part of Christmas this year…it’s her first! I am a member :) I would love to win this. This is my very first time participating in anything of this kind! Can’t wait! ugh I forgot to put my favorite tradition, disregard last comment! my favorite tradition is just Christmas morning, seeing what Santa brought, opening gifts. I am a member, this is my first time doing anything of this kind! Can’t wait! I’m a member of the Sugar BOM for 2013, and our traditions are driving around town slowly taking in the light displays, cooking with family, and jigsaw puzzles! I think time with family to play games is the favorite, and jigsaw puzzles in particular give us time to relax and talk that we don’t usually manage the rest of the year. Hi Amy! I, too, am a member and am so excited about the Sugar BOM! Even if I don’t win the bundle, I am a winner because I get to learn and make something wonderful in 2013! My favorite Christmas tradition is having the grandchildren go with us to select our tree, bringing it home and setting it up in the stand. Then, while Papa (and any volunteers that want to help) puts the lights on, the rest of us gather in the kitchen to help prepare supper. Then we eat and afterwards, go decorate the tree! I am a member and am looking forward to starting the Sugar BOM with you. I have lots of good memories of the traditions of the past. But now we spend Christmas with a different daughter and her family each year, so we do what they do when we are with them. But one thing that has not changed in the traditional goodies that I make only at Christmas time. I enjoy making them and sharing them with our family. I am a member and my favorite holiday is Christmas. We celebrate Christmas and have a huge family gathering with my seven siblings and in-laws, my husband’s eight siblings and in-laws and all the children and grand kids. The feel of love, peace, and family values is a beautiful atmosphere! Hello! Well I don’t celebrate the holidays but I can say I absolutely adore the cooler weather and the cozy days spent by the fire and hot chocolate with family. You can be sure I am always busy working on one project or another too! Thank you for the giveaway .. It is so sweet of you! I am so excited for the Sugar Block Club, I can hardly contain myself! I come from Finland and we like to have special Christmas Eve. In the afternoon, each person has a sauna to be squeaky clean. Then we have our special dinner – usually fish or ham. The youngsters then clean up the kitchen and do up the dishes. When all that is done, Santa knocks on the door to see if the children have been good, and distributes their presents. Some folks attend church late evening, others the next morning. Christmas day is saved for church and the singing of songs, to celebrate Christ’s birhday. Our favorite tradition is our Christmas Dinner, which we always prepare only at Christmas eve. It a tradition since many years in our family. Its a kind of stew with potatos, sausages,and tomatos. We Love this meal :-)). My favorite tradition for Christmas is a Christmas Eve white-elephant-gift party for extended family. We bring food and fun! My favorite tradition is Christmas day when all the kids their families come home for dinner together and afterwards we open gifts for each other. 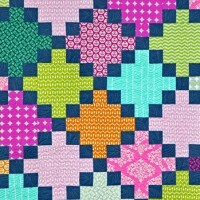 So looking forward to Sugar Block ~ I really enjoyed your BOM on Crafsy ~ the quilt is so nice! I have also enjoyed the pictures of your family! It’s too hard to pick just one tradition! My newest favorite is the elf on the shelf. I love seeing Christmas through my kids eyes and they are totally in wonder at our elf Trixie and her mischevious ways. My oldest favorite tradition is baking with my Mom and sister. We’ve done it for as long as I can remember! We usually have a marathon baking day and make several family favorites and a new recipe or two! I have 3 grandchildren under the age of 7, thanks to my daughter, Angie! Every Christmas each grandchild gets 3 gifts from Mi Mi & Pa Pa (that would be my husband & me). The explanation for the “3” gifts is . . . that’s how many gifts Jesus received . . . Gold, Frankincense & Mir. 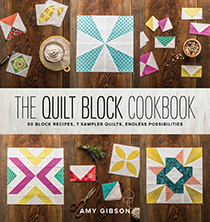 Hi Amy, I am a Sugar Block Club member, and cannot wait to get started! Thanks for the opportunity to win one of these luscious,colorful bundles from Westminster. Our favorite Holiday tradition is gathering Christmas morning (after the little ones have had their go at presents). We eat brunch (hubster fixes his special French Toast) and then we – the adults – open our gifts, starting with stockings and taking turns. It draws out the fun! My very favorite thing to do during the holiday season is to go to Salt Lake City (2 hr away) and hear the Mormon Tabernacle Choir’s Christmas Concert. Then I am ready for Christmas! I am excited to start the Sugar Block Quilt. 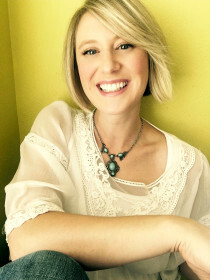 I love your blog and cute personality! Wow!!! Guess I should have snagged a bundle early, but no problem, my New Year’s Resolution (not that I stick to them) was to try and use from stash as much as possible. That being said, I was going to get one of these to try and make it look more modern- so low in that area, but now I hope I win a bundle!!! I am a member and I am looking forward to the block of the month projects. My favorite holiday tradition is making a wide variety of cookies, breads, kuchens and candies to give as gifts to others. Ever since I can remember my mother and grandmother put together homemade Christmas gifts. Its a great tradition to carry on. While making all the items I always listen to Christmas music. Its always a good feeling. Our favorite holiday tradition is watching A Christmas Carol (with George C. Scott as Scrooge) on Christmas Eve. I am soooo looking forward to the 2013 sugar block club. 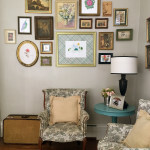 I followed you on Craftsy Block of the Month club and thoroughly enjoyed it. Thanks for the chance to win! I love would to win a bundle. My favorite holiday tradition is to make many, many, many cookies and give them to family, neighbors, and co-workers of my children. Just love the smell of Christmas cookies. I’m a Sugar Block member — my favorite tradition, when my two kids were younger, and still “believed” — we would wrap all of the gifts except one. The wrapped gifts were from me and their dad, the unwrapped gift was from Santa — when you read the stories, his gifts are always unwrapped. I’m a member of the Sugar Block Club and would like a chance to win the bundle. I went order and noticed they were gone so then I went to my stash and found a Robert Kaufman Fat Quarter Bundle that I’ve decided to do my blocks in. It would be fun to win and use your bundle but at least I’m happy to know that I have one just in case. My favorite holiday tradition is spending time with family and friends. I enjoy giving them hand made goodies from my kitchen and on Christmas Eve going out and seeing the lighting displays. This year we’ll be in in the VA mountains spending a week at a resort with a daughter, son-in-law and grandson (the resort has an indoor water park as well as outdoor ski slopes). Who knows we might start a new family tradition at the resort. My favorite holiday tradition is our family get together. My parents have hosted a family dinner on Christmas eve for the last 30+ years. They are now 79 and 76 years old and are still hosting and insisting on doing the meal preparation. There are about 60 children and adults that come. After dinner we play bingo, pass the gift games and then Santa comes to visit with everyone. Yes, I am a member. My favorite holiday tradition was baking cookies with my Mother. I only wish that I had some of those recipes today, and that I could have just one more chance to bake cookies with her again. My favorite tradition is the baking of the wonderful Christmas cookies! 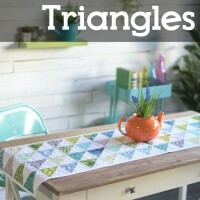 Looking forward to this next quilt group! I am a member. Our favorite tradition is going to church Christmas Eve – then coming home for Mexican hot chocolate, sweet breads, and watching Christmas movies. I’m a member and my favorite tradition is making caramel and danish puff. I’m already signed up to the BOM course for 2013 and can’t wait to get started. One of my favourite Holiday traditions is when we all gather round the tree and we each open one of our gifts one at a time, that way we all get to share in the excitement of what everyone else receives. Another tradition I love is having Scottish Shortbread and a cup of tea when we first get up, we sit round in our PJ’s to have the tea and shortbread before starting to open our gifts. I would so love one of my gifts to be the fabric bundle ! Although I love Christmas and all the memories and traditions associated with it, many of my kids and grandkids are usually home, out of state, creating their own traditions. We usually get together at Thanksgiving and after the traditional meal, I have them write on the back of their place cards, the answer to some question I have created. This is often cause for great entertainment when I read their answers aloud, as they seldom take my question seriously. Thanks for the chance to win, can’t wait to start making the blocks! I am part of the Sugar Block Club and would love one of those bundles. I also love the homemade pumpkin doughnuts we have every Thanksgiving morning and share with the next door neighbors. They in turn share their Rice pudding with us. And the homemade peanut brittle every Christmas is delicious! I loved BOM and so looking forward to the Sugar Block club patterns. Our family’s favorite tradition at this time of year is having a Chanukah party and inviting our friends and coworkers to enjoy delicious latkes (potato pancakes) and menorah lighting at our house. Our favorite holiday tradition is to build a huge fire in the fireplace, make mugs of hot chocolate and watch “Its A Wonderful Life”. It is a great time to reconnect with the family. I am a member of the Sugar Block BOM 2013 and can!t wait to see what wonderful blocks you will come up with for those gorgeous fabrics! My favorite tradition is of our family Christmas dinner with all of us gathering for a wonderful feast with each bringing a specialty dish, and the incredible iced Christmas sugar cookies my sister brings for us all to gorge upon for days after Christmas! We make up a batch of hot cocoa in the family-sized thermos and drive around town to view the wonderful Christmas lights people put up for the holidays! One house in particular has a ton of lights, and Santa is out greeting the children and hearing what they would like to receive for Christmas. My favorite holiday tradition is baking cookies (lots of them) and sharing with my family. Last year we began an annual cookie exchange, our 2nd Annual Cookie Exchange is scheduled for the weekend before Christmas! I am a member of the sugar block club and am super excited! Every year on the Saturday or 2 before Christmas my 5 sisters and I (yes 6 girls!) go to have lunch together in a quaint little shopping town. We exchange gifts with a limit of 5.00. I love seeing what each of us can come up with for a 5 dollar budget! Last year I made them all pillows! I am a member of the Sugar Block Club and would love to win the bundle. One of our many holiday traditions is to watch old (really old black & white) movies – Holiday Inn, Christmas In Connecticut. Hey Amy! I am so excited to learn more quilting tricks from you. My favorite Christmas tradition? There are sooooo many! I have a lot of beautiful memories of baking and cooking in the kitchen with my mom…. all the Christmas lights are on, the fire is going, the tree is sparkling, music is playing, and we are both happy, together in our aprons. We usually always make a certain candy that is like an almond joy ball dipped in chocolate. Impossible to eat just one. My favorite holiday tradition happens early, very early Christmas morning. The kids, who are now teenagers and older, and our 3-year-old grandson who lives with us, come and wake us up. Then we all go to the living room together to see what Santa has left beneath the Christmas tree for each one. There were a few years where it wasn’t so much to look forward to, but now that the baby is old enough, it’s great again. I forgot to say that I am a member of the Sugar Block Club. I joined as soon as I found out about it. I’ve had a hard time waiting for the first block to arrive on Jan. 1. But the wait is almost over! I am a member and would love to win that bundle with all the bright colors….mmmmmmm….fabu!!! My favorite holiday tradition started when my children were little. I would wrap presents and not put their name on it (I didn’t want them peeking.) The way I could tell who’s gift was who’s, was by attaching a Christmas ornament I selected especially for them to their gift like a tag. It was fun to listen and watch them guess who’s gift it was and what they thought of the ornaments. Every year we decorate our tree and remember the fun they had guessing. Dear Amy, I just learned about the Sugar Block and I just joined! I’m interested in ordering the bundle when you will be able to offer more, even if I win one I will keep it as an extra, we are very much short of fabrics in this part of the world! My favorite holiday is Halloween as far as decorations and color scheme. The bright orange pumpkins, scary black cats, bats and the colors of fall in the leaves. However, Christmas is a close runner up. Gotta love Santa so jolly. Oh I like the pastel shades of Easter colors too. I would love to win fabric. Oooops my favorite holiday tradition is spending time with the children and grandchildren enjoying lunch or dinner together and catching up on what is going on in our lives, during the holiday season. The older the children and grandchildren become the busier their lives are with work, school and friends. I did the BOM and am looking forward to the Sugar block club. My favorite tradition was to have a cookie making party withy daughter and her friends. I now have grandchildren and the tradition goes on. I would love to win the fabric. My favorite tradition is the Candlelight Christmas Eve Service at my church. Hi Amy! I am a member of the Sugar Block Club. And my favorite holiday tradition was turning the tree lights on and listening to Christmas music. my favorite tradition is our Christmas Eve service at church. It love to stop all the buying, wrapping and baking to enjoy the real meaning of Christmas. This tradition starts Christmas off right for my family. Hi Amy! 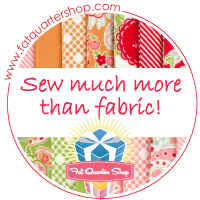 Thanks for the chance win the rainbow fat quarters for the Sugar Block Club quips of 2013! Imam looking forward to getting started on the 1st block AND getting the 1st recipe on Jan 1!!! I also have a very sweet tooth! My favorite tradition for Christmas each year as a child was for my whole family to get together on Christmas Eve and going to the early Christmas Service and listen to the children tell the Christmas story, then we would sing Christmas songs and carols. We would all go to my Mom and Dad’s house to eat supper that consisted of Mom’s famous chill and a table full of hors devours. We than all gathered in the living room and watched all of mom & Dax’s grandkids open one present from one of their cousins. There were 6 cousins, with 2 girls almost the same age and the 4 boys, each pair being close in age! We all enjoyed watching the children get so excited to rip open their present from their cousin!! That brings back so many memories for me. We now live quite far apart away from one another that its not possible to get together every year any more. However, we are able to get together every 3-5 years! We have a wonderful time!! Thank you so much for allowing me to share in a very special memory, and a chance to win the rainbow bundle for the Sugar Block Club blocks!! Sorry my comment ended up being so long. Hi Amy. My favorite holiday tradition is going to my daughter’s house for brunch on Christmas morning. It is such fun to see my grandkids in their pajamas, opening more presents, showing me what Santa brought and just bubbling with excitement. Thanks for letting me share and for a chance to win the rainbow bundle. Hi, as a memeber, i can tell you that my favourite tradition is making our Greek New years eve cake, from my grandmas recipe from 1910.. i only make it once a year and the whole family.. 4 generations come over to “cut “the cake, called a VASILOPITA in a special order.. with a gold coin to the lucky one who finds it in their piece of cake!!! Every Christmas Eve we read in the Bible about the birth of Jesus. Then we go out looking at Christmas lights. We open one small gift as well. My favorite Christmas tradition is when I put up the tree and have any and all grandkids come over and help me decorate. We all put decorations on and the tree looks fabulous! My favorite tradition is getting up on Christmas morning and going next door to my daughter’s house. We watch our grandchildren open their presents and then I cook breakfast for everyone. I usually fix biscuits, eggs, bacon, sausage, gravy, and waffles. Drinking eggnog by the fireplace! Dear Amy, Can’t wait for my fat bundle & thank you for being able to get this for us. Every Christmas eve I wake up early to start making tameles we start eating them after midnight mass. woohoo! Thanks for the giveaway Amy! My favorite holiday tradition is simple – it is curling up on the couch with hot chocolate and watching A Christmas Story ALL DAY at my sister-in-law’s house. My favorite holiday tradition is opening presents on Christmas Eve with my hubby and kids. We have a lot of places to go for the holidays, and this is a calm time for just us. My favorite Christmas memory involving our three children was the annual reading of The Gift of the Magi on Christmas Eve. This story, by O. Henry, is a moving tale of love and generosity in which a very poor young couple wants to give a special gift to each other. The wife has very long beautiful hair and the husband has a pocket watch. These are their assets. The wife sells her long hair to purchase a gold chain for her poor husband’s pocket watch and he sells his pocket watch to purchase special combs to hold up his wife’s long hair. What made this special was the following: my husband and I would act this out after reading it, very simply since we are not thespians. As the children got older our oldest daughter and her younger brother began to take over acting it out and we could sit and cuddle our youngest daughter on the couch while tearing up at the moving story of generosity in the face of devastating poverty. Now those three children are 34 (a new mother of a 6 month old daughter) and 31 (and a father of a 2.5 year old and baby due next week) and 24. We hope that as their families grow their traditions – their own traditions – will bring as much meaning to the season as ours did. My favorite holiday tradition is writing my Christmas cards while listening to Christmas music and drinking hot chocolate. My favorite tradition is lighting the Chanukah candles every night. It’s very peaceful and allows for a moment of focus on the holiday. Our favorite tradition is sitting around and watching Christmas movies together…and me baking and everyone eating all the treats. Hi Amy: I would love to win one of these bundles. Then I can follow along with you in the Sugar Block Club. Thanks to Westminster. My favorite tradition is baking all kinds of yummy sweet cookies and deserts. This year I have added another tradition of helping my daughter make wreaths with the foliage that she picks from the Mauna Kea forest. My favorite holiday tradition is making a “family project” craft to give as gifts to friends and family. My family has been making these together for 30 years. 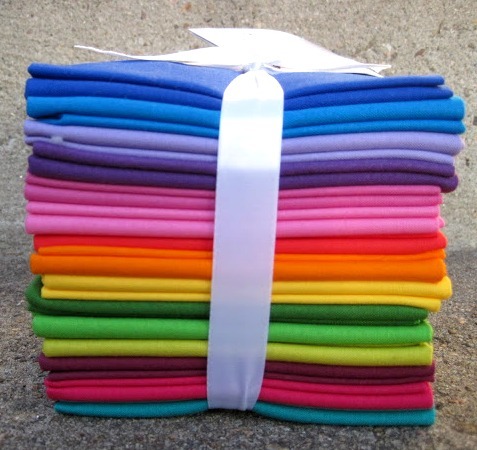 I’m so happy with the thoughts of a new BOM for 2013 and the possibility of winning that beautiful bundle of color! My favorite tradition is midnight mass with all my family in tow. The church is dark when we enter and as the mass begins it is lit up and beautifully decorated. A feast for the eyes and heart. I am a group member and am looking forward to making the “sugar blocks”. My favorite holiday tradition is snuggling with my family on Christmas Eve and reading the story of Jesus’ birth in Luke 2. Then we read The Night Before Christmas and enjoy some time together before we hustle off to bed and hope a special elf pays an overnight visit! Thanks so much for the giveaway and for the Sugar Block Club. My favorite Christmas tradition is Christmas morning my husband makes homemade sourdough cinnamon rolls for breakfast! Also watching the movies, “It’s A Wonderful Life”, “The Bishop’s Wife”, and “White Christmas”. I JUST signed up for the Sugar Block Club. I’m so excited because I had so much fun working on the Craftsy BOM. I’m not finished yet, because I had to put it aside to work on Christmas presents. But I’ll be back to work on it in January. My favorite Christmas tradition is new jammies on Christmas Eve. I started this when my kids were pretty little. Now that they are big (22, 24, and 26), they STILL want their new Christmas jammies. I have to buy my own, so no surprise for me – that’s both good and bad!! I just signed up for the Sugar Block Club and winning the materials would be super!!! Please how much is it as I am on a severe budget??? and the recipes can I substitute liquid stevia for the sugar as I am diabetic??? I am looking forward to the Sugar Block Club! One of my favorite Christmas traditions is making Plum Pudding for our Christmas dinner. It is an ancient recipe that came over from England with my grandmother’s family when she was three, that was in 1904! It has raisins, candied fruit, figs,suet, strawberry jam, bread crumbs and more and then cooks in a steam bath for 6-8 hours! A little labor intensive but it’s been part of my Christmas for my entire life. I’m not going to be the one to stop it! I just hope one of my younger family members feels that same as I do and continues it when I’m no longer able! Hello! I’m so excited to do my first BOM quilt! My favorite tradition is helping my mom decorate her tree, singing Christmas carols and listening to the Nutcracker. My favorite holiday tradition is making a special ornament for our tree. Each year a comb through mags and sites looking for the perfect ornament. If I find that idea early, I make multiples for loved ones as well. Unfortunately, I have not settled on a design yet this year, and time is ticking, ticking, ticking! We love t watch old Dsny moves around Christmas, like Fantasia and Goofy!’s Instruction for skiing! Our tradition of attending the Christmas Eve service at church and having our family together, our kids and grandkids, for a meal and gift giving is my favorite part of our celebration. I just signed up for the Sugar Block Club and I am looking forward to it. One of my favorite Christmas traditions is decorating my parents tree as an extended family and then a week later having everyone over to our house and decorating our tree. It’s fun sharing in the old ornaments of parents and children together. My favorite tradition is opening the stockings first on Christmas morning. We don’t have a fireplace so the kids hang them on their doorknobs. They know they can open them even before mom and dad are up if they want to, but they usually wait!! My favorite Christmas tradition is candle light service on Christmas eve.Love your blog. Can’t wait to start the BOM. I’m gifting to my friend, also, so we can do it together! In Germany my parents would put up the tree on Christmas Eve. The door to the lounge room was locked and no one was to enter until that evening. My siblings and I would practise our songs, play the flute, study the poem one more time that day. In the afternoon we would all get dressed in our finest clothes and go down to church. After our return it was time to enter the lounge room. I have 3 sisters and one brother, you can imagine, it’s winter, dark and warm. We are all dressed up, the door opens and we saw the Christmas tree in all it’s glory, lights are shining, our hand made Christmas decorations and baubles are dressing up the tree. presents are everywhere and we would – one by one – go to the tree, say out poem, sing our song or play an instrument, whilst looking around – where is my present. What a beautiful Christmas we always had. When everyone finished their performance (including my Mum and Dad) we would all sing together and start opening presents. We would listen to the radio – a show where sailors at sea could talk to their loved ones at home. My Dad used to love that. After that we would play family board games, there was always a new one under the tree. So, the favourite of them all you ask? Well, standing in front of the tree and singing a song, whilst everyone is listening with shiny eye. I joined the Sugar Block Club and enjoyed the Craftsy BOM. I’m afraid we don’t have any traditions around here. All my kids are in their 30’s with no families of their own. At least half of them work on Thanksgiving and Christmas. With no kids of their own they choose to do the shifts so parents can be with kids. After work they do try to get together for a couple of hours to play card or board games. When the kids were little we went to church Christmas eve and sing ‘Happy Birthday’ to Jesus Christmas morning before we opened the presents. I miss the excitement little kids bring to the day. Someday maybe there will be kids around again to remind us of that excitement. Please let me know when more fabric bundles are available. Hi! As a mixed family, my favorite part of the holidays was to celebrate both Hannukah and Christmas. We got great food and festivities for eight days, and then a wonderful party with the other half of the family, including Christmas tree and singing! Best of both worlds. My family’s favorite holiday tradition is the requisite drive around the area (as many as possible packed into the car)to view all the XMAS lights and the XMAS ships that stop at our many harbors in the Seattle/Tacoma/Gig Harbor area. We blast out XMAS CDs and eat candy canes as we drive along. Such wonderful memories! I enjoy making sugar cookies every year. But this year, I have been busy with quilting for gifts. Just finished piecing two King size quilts (one on the rack, other waiting), two tree skirts, and a baby quilt. Will quilt all of those this week. Then onto two table runners and a patch quilt Santa for my grandson. I feel like that is all I do is sew – sew – sew. But I enjoy it so much. Have many scraps left over, so I thought I would make some dog pillows for our PAWS organization. Those little furry friends need nice things too!!!! I’m glad you decided to do some more block of the month things. 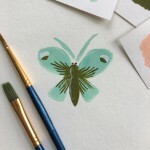 I so enjoyed your free series on Craftsy and was bummed when the series finished. Thanks Amy (and family for supporting your wife/mom)! First thank you Amy for personally responding to our comments that is huge! specially considering how busy you are with your lovely family. Our holiday tradition that my hubby and I started is the decoration of our tree, I make eggnog, the husband puts Christmas music and we start decorating our tree while sipping on eggnog. I have just finished all the BOMs for this year, and just wanted to Thank you Personally. I started as a complete Novice, and I learnt soooooo much. Thank you for your lessons, encouragement and enthusiasm. I still consider myself a beginner, but there is now so much I can do to practice. THANK YOU, and have a great Holiday Time. Yeah!! I’m all signed up. 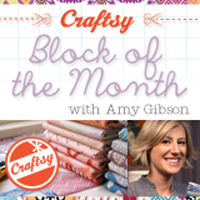 I just loved your craftsy block of the month. 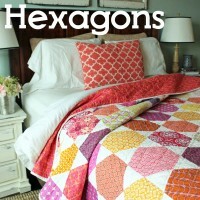 It gave such great information and I had so much fun making my quilt. I even made one for my mother-in -law for Christmas. She was so tickled. I had no idea she had never been given a quilt before and always wanted one. What an amazing way to get to know each other better. Anyway, I’m really looking forward to the new class, too. 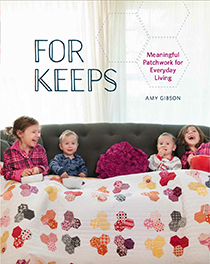 My favorite class was the BOM and I am excited to be able to to the Sugar Block Patterns with Amy. I just love her! Need fabric, love the solids but need a package more geared for a boy, as i will be making it for my grandson who just turned 14 a few days ago. I was hoping to buy my bundle from here.